LOS BAÑOS, Philippines –26 October. A group of scientists from China led by world-renowned hybrid rice breeder Hua’an Xie, a professor at the Fujian Academy of Agricultural Sciences (FAAS), are at the International Rice Research Institute (IRRI) this week to explore areas of possible collaboration. MANILA, Philippines—Increases in rice consumption in Africa have outpaced the continent’s rice production, according to Jason Beebout, the leader of a capacity-building project for Africa being supported by the Japan International Cooperation Agency (JICA), Philippine Rice Research Institute (PhilRice), and the International Rice Research Institute (IRRI). “This is why there is a need for training programs aimed at increasing rice production beginning with the seed sector,” he said. 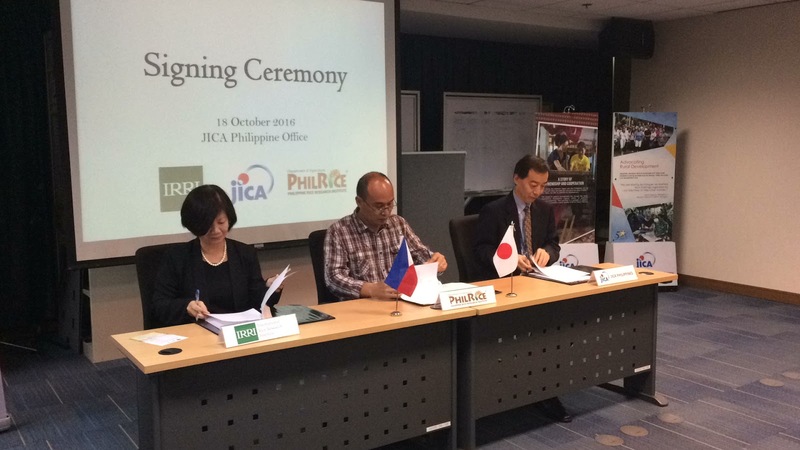 JICA, PhilRice, and IRRI have joined forces to help several African countries develop their respective rice seed sector. The three organizations formalized this partnership during a brief ceremony for the signing of the agreement at the JICA Philippine Office on 18 October. In the agreement, which is part of the Extension for Capacity Development for Rice Food Security in Africa, IRRI is partnering with PhilRice in training the next generation of seed production professionals from member countries of the Coalition for African Rice Development (CARD). In 2017, two 8-week training courses on rice seed production and extension will be conducted by PhilRice for selected participants from CARD countries. The overall extension capacity project started in March and will continue until 2019. This is not the first time IRRI and PhilRice have worked together to train researchers, technicians, and extension workers from Africa. During the first phase of the IRRI-JICA collaboration, they trained 142 participants from various African countries. Earlier this year, IRRI also conducted two 3-week training programs on quality breeder and foundation seed production that was attended by 34 African researchers and extension professionals. MANILA, Philippines, 12 October—Three renowned experts in rice blast research were presented with lifetime achievement awards during the 7th International Rice Blast Conference (IRBC07) for their contributions in helping understand and manage the complex and destructive disease. The awardees were Dr. Shinzo Koizumi, technical adviser, Japan International Cooperation Agency Tsukuba International Center; Dr. Seong-Sook Han, director of the Korea Project on International Agricultural (KOPIA) Ethiopia Center; and Dr. Robert Zeigler, director general emeritus and former plant pathologist at the International Rice Research Institute (IRRI). Koizumi (photo left) spent around 40 years studying rice blast in several institutions across Japan, including the Tohoku Agricultural Research Center and the Central Region Agricultural Research Center (formerly the National Agricultural Research Center), among others. His foray into rice blast research started as an undergraduate student. After working as a researcher of the Ministry of Agriculture, Forestry and Fisheries in Japan, he became increasingly more involved in rice blast research, looking into the variations in the disease. Han started her journey as a plant pathologist in the Rural Development Administration of Korea where she studied the disease for 33 years. She became the director of the KOPIA Ethiopia Center two years ago. "My focus was solely on the blast fungus," she recalled. "And then I realized that it was a mistake because of how limited the available information was and I was only studying the fungus itself. So, now we look at the rice plant as well. We should know what kind of interactions there are between the fungus and the plant." Dr. Leung (left) presented Dr. Han (right) with the lifetime achievement award. Her insight very much agreed with that of Zeigler’s, who spent nearly half a lifetime studying and understanding the shifty disease. "The trick is to work on the plant side so it's able to resist or identify the blast fungus and keep it at bay," he said. “What makes rice blast so tricky is that, unlike other serious rice disease such as tungro, the progression of rice blast disease involves thousands of fungal genes." That means it has a range of mechanisms to generate variation. Dr. Valent (left) conferred the award on Dr. Zeigler (right). The awards were conferred by Drs. Hei Leung and Bo Zhou, IRRI plant pathologists and cochairs of the local IRBC07 organizing committee, and Dr. Barbara Valent, chair of the event’s international organizing committee. JAKARTA, Indonesia, 11 October—“Indonesian law requires the country to maintain food self-sufficiency, but achieving this goal is becoming more and more challenging,” said Dr. Hasil Sembiring, director general for Food Crops with the Ministry of Agriculture for Indonesia. He was addressing a recent forum jointly hosted by the Indonesian Agency for Agriculture Research and Development and the International Rice Research Institute (IRRI). Added to these challenges are: an aging farmer population where 44% are more than 50 years old, limited education with only 25% graduating from elementary school, and a shortage of agriculture extension workers. Indonesia also faces significant agriculture security challenges. This is the Indonesian agriculture landscape that was described to participants of the forum, Rice and Food Security Indonesia: The global market, scientific research, and action programs. It was an opportunity for individuals from the agriculture sector in Indonesia to gather and discuss current challenges, interventions, and future goals. Sembiring went on to describe a number of key action programs the Ministry of Agriculture in Indonesia has spearheaded over the past 10 years. These included innovations such as the introduction of farm insurance, seed, and fertilizer subsidies for small-scale farmers; water infrastructure, including dams and improved irrigation channels; and introduction of new high-yielding, stress-tolerant rice varieties. As a result, rice production in the country increased 2.6% during the 2010-15 period. The government’s intention is to continue introducing new innovations and action plans to achieve food self-sufficiency by 2045. 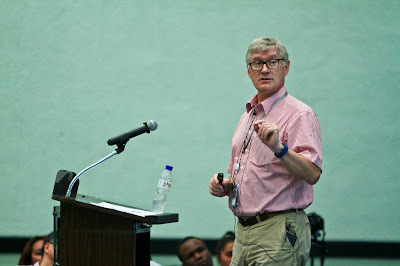 Dr. David Johnson, head of IRRI’s Crop and Environmental Sciences Division, commented on the various elements of the action programs presented by Sembiring. He highlighted the ways in which collaboration between IRRI and Indonesia can help secure Indonesia’s sustainable food security. Dr. Harry Priyono, secretary-general of the Ministry of Agriculture, represented the Agriculture Minister Amran Sulaiman. In his keynote, Dr. Priyono stressed the commitment of the government to the far-reaching goals of the rice program. Mohanty went on to explain that the level of mechanization found on Indonesian farms is very low compared to other rice farms in the region. “When it costs more to produce the same amount of rice, it becomes very difficult for a country to remain competitive in the region or to even be able to feed its own population without importing rice,” said Mohanty. While he complimented the Indonesian government on its active engagement in supporting the rice sector, he also urged the government to consider an action program focused on increasing the country’s mechanization. “Forums such as this allow us to directly engage with policy makers and leaders in agriculture in the countries in which we work,” said IRRI Director General Matthew Morell. The forum was attended by more than 125 participants including key officials and staff from the Indonesia’s most influential agriculture agencies. Some officers of private sector corporations also participated. Members of IRRI’s Board of Trustees, who were in Jakarta for the board meetings, also attended the forum. Dr. Bruce Tolentino, IRRI’s deputy director general for Communication and Partnerships, moderated the forum. Dr. Bart Duff, 76, an agricultural economist at the International Rice Research Institute (IRRI) for 20 years (1970-90), passed away in Manila, Philippines, of cardiac arrest on 13 October. At IRRI, he pioneered research on the role of women in rice production and also conducted studies on farm mechanization. As early as 1979, he had gathered data on the role of women in rice production. At that time, he found the contribution of female labor in non-mechanized rice production systems in West Java, South Sulawesi, central Thailand, and the Philippines ranged from 43% to 56% of total labor. For a time in the 1980s, he coordinated the Women in Rice Farming Systems (WIRFS) Program. WIRFS was the framework for addressing women’s concerns in both research and extension programs on rice farming systems. A native of Pendleton, Oregon, Duff had degrees from Washington State University (1962) and Stanford University (1970). He was also an American Peace Corps volunteer in the early 1960s. He was active in the local Puerto Princesa community (Palawan, Philippines), serving as president of the Palawan Chamber of Commerce and Industry. He operated, with his wife Paz Aurora, an NGO, Poor No More, Inc., on Palawan. In addition to Paz Aurora 'Baby', his wife of 33 years, he is survived by son Aaron, and daughter Shannon. Condolence messages may be placed on Bart Duff’s Facebook page. Watch a clip from his 2009 IRRI Pioneer Interview. MANILA, Philippines— "Rice blast plays a major reason for the loss of production of rice grain. 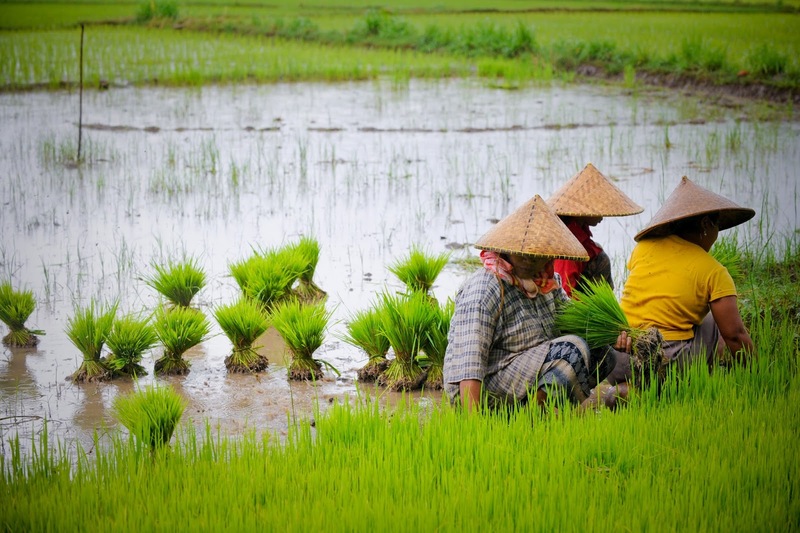 That loss of rice production feeds into poverty and hunger issues," stated Director General Matthew Morell of the International Rice Research (IRRI). “The topic of rice blast fits with IRRI’s mission of securing rice supplies.” Morell made the comments in a pre-recorded welcome to participants of the 7th International Rice Blast Conference held in Manila, 9-13 October. This sentiment was echoed in the keynote address of IRRI Director General Emeritus Robert Zeigler (right photo). “Anything that threatens rice production threatens the lives of the most fragile people in the world,” Zeigler said, before more than 200 scientists and researchers from 26 countries attending the conference. They came to learn of the latest developments in host-pathogen interactions, genomics, resistance breeding, and management practices to combat the insidious fungus. one of the biggest threats to rice production and food security. 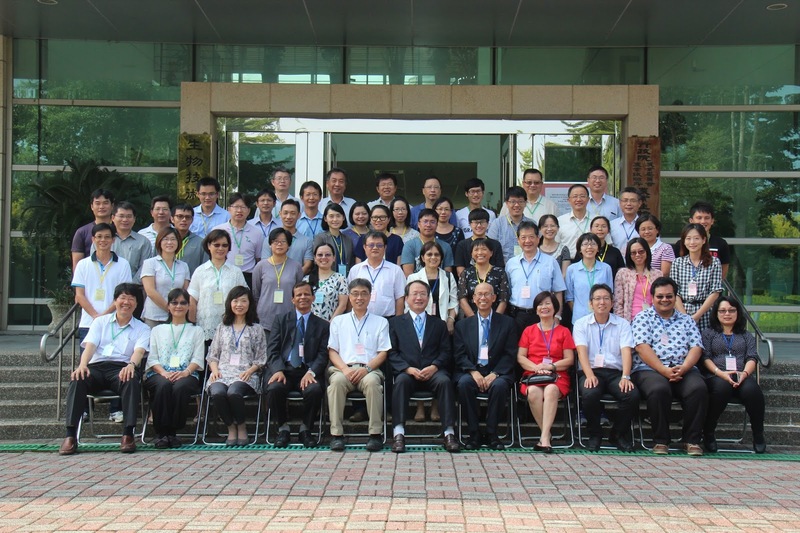 With the theme, New Insights into the Rice-Magnaporthe oryzae interactions for better management of rice blast, the 4-day conference also featured a keynote lecture by Dr. Jin-Long Qiu from the Institute of Microbiology at the Chinese Academy of Sciences. He talked about Genome editing for crop improvement. The conference also featured the soft launch of the online resource, Rice diseases: their biology and selected management practices. Featured online, for now, are the Preface and Introduction (The Future Impact of Rice Diseases by Zeigler and Leung) and the full section on rice blast. The latest information on around 70 more rice diseases will be placed online as it becomes available from the technical editors. Participants spent the last day of the conference visiting IRRI headquarters to meet with relevant rice scientists and learn about IRRI’s work on rice blast. Spain, Taiwan, Thailand, Turkey, United Kingdom, Uruguay, USA, and Vietnam. sustainable management of brown planthopper. TAIPEI, Taiwan—Every year brown planthopper (BPH) infestations in farmers’ rice fields cause severe yield losses in South, Southeast, and East Asia valued at more than USD 300 million. That is why Chen Chi-Chung, the deputy minister of Taiwan Council of Agriculture (CoA), expressed his strong support for the sustainable management of one of the most serious pests of rice crops in Taiwan and the continent. The deputy minister recognized the importance of controlling the pest during the workshop on developing an integrative strategy for the sustainable management of BPH held on 20-21 September. The workshop highlighted the problems caused by the insect and presented scientific papers related to its management. The workshop was followed by a meeting to formulate an integrative strategy to combine genetics and ecological approaches for sustainably managing BPH outbreaks. The output of the workshop will be the development of project proposals to be presented to CoA and other potential donors for funding. BPH management is an area for new research collaboration between CoA and the International Rice Research Institute (IRRI). CoA and IRRI are currently collaborating on developing climate-resilient and high-nutrition rice varieties. In addition to the direct damage through feeding, planthoppers can transmit rice grassy stunt and rice ragged stunt—two viral diseases that can cause significant yield losses. Major BPH outbreaks can cause up to 100% crop loss. The most extensive losses from the pest have occurred in India, Indonesia , the Philippines, Japan, and Taiwan. It is important to find the right balance between breeding, genetics, and management strategies to reduce the population of BPH and the resulting pest damage. 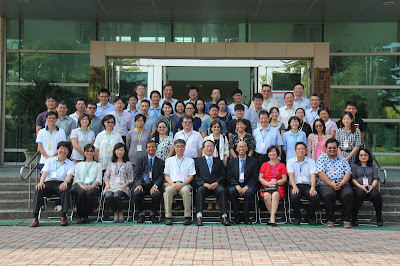 The BPH workshop was organized by the Taiwan Agricultural Research Institute and CoA’s Rice Promotion Team in coordination with IRRI. SINGAPORE, 6 October—“It is imperative for the ASEAN nations to invest in scientific research to ensure the improved productivity, quality, health, and resilience of Asia’s rice sector, and strengthen global food security.” This was the call issued by Matthew Morell, director general of the International Rice Research Institute (IRRI). Morell (photo above) addressed the preparatory meetings of the Senior Officials of the ASEAN Ministers of Agriculture and Forestry (AMAF), as well as the AMAF+3, in meetings in Singapore, 3-7 October. Senior officials from the ASEAN 10 countries - Brunei Darussalam, Cambodia, Indonesia, Laos, Malaysia, Myanmar, Philippines, Singapore, Thailand, and Vietnam, as well as the “Plus 3” countries - China, Japan, and South Korea, participated in the meeting. Morell presented IRRI’s proposal to establish the ASEAN Genetics and Rice Breeding Platform, a regional program and mechanism that will allow the ASEAN+3 countries to conduct collaborative research. Through this platform, the countries could work together to develop and share improved rice germplasm that could help their respective rice sectors cope with rising demand for rice as well as demand for safe, high-quality production. Advances in basic science require significant and stable investments by governments in research for public goods. Traditionally, investments in rice research have been made by Western countries, even though the rice-growing countries of Asia, especially China and India, have largely benefited from the research. During his time there, Morell and Bruce Tolentino, IRRI deputy director general, also had a series of bilateral meetings with the ASEAN Secretariat and the delegations from Brunei Darussalam, Malaysia, and South Korea. The feedback from the meetings was highly positive, reconfirming the threat climate change poses to future food and nutritional security. It acknowledges the role of science in finding solutions as well as the importance of rice germplasm exchange and breeding programs to the region. In consultation with the ASEAN+3 countries, IRRI will be working on the development of a road map for the ASEAN Rice Germplasm and Genetics Platform. LOS BAÑOS, Philippines—Agricultural extension workers are crucial in disseminating information and providing recommendations to increase the productivity of Filipino rice farmers. 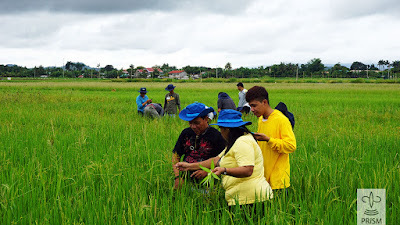 To enhance their skills, more than 120 of them from all regions of the country attended a workshop to prepare for widening the coverage of a monitoring and information system for sustaining stable rice production. 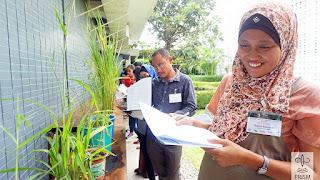 The Crop Health Training Workshop, held at the headquarters of the International Rice Research Institute (IRRI) in two batches in September, was conducted by the Philippine Rice Information System (PRISM), a project funded by the Department of Agriculture (DA). 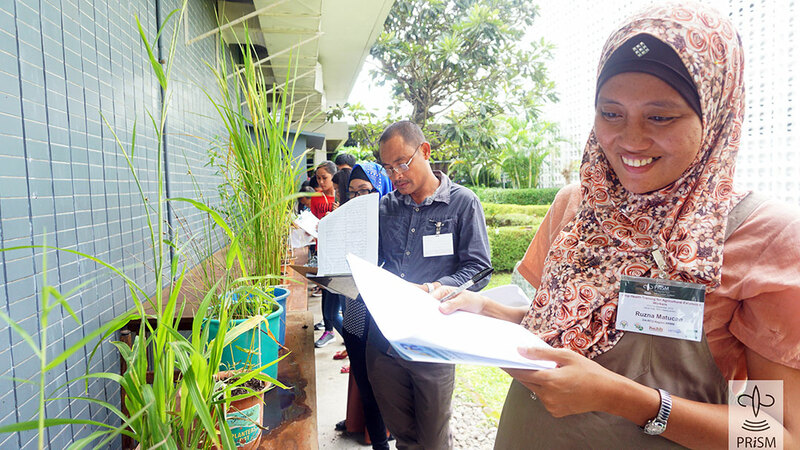 The participants learned more about identifying and managing rice diseases, animal pests, and weeds. It also included how PRISM’s protocol for crop health assessment and characterization of production situations can be effectively introduced in farmers’ fields. 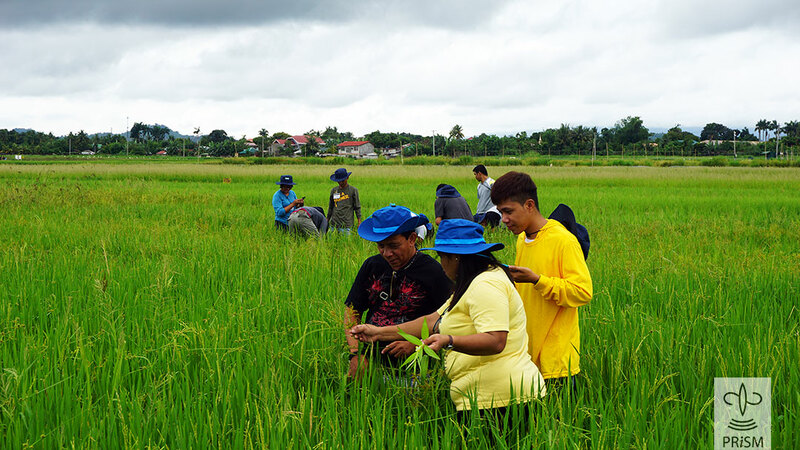 “With the involvement of extension workers, it is easier to tap more people as we expand our monitoring sites,” said Ulysses Duque, a crop protection expert from the Philippine Rice Research Institute (PhilRice). PRISM has been monitoring 1,060 fields throughout the country since the second semester of 2016. “Being part of this national project is the first step to reach our common goal, which is to provide food self-sufficiency in the country,” said Vincent Jun Caminero, a municipal agriculturist from Region XI. Joselito Villa, associate scientist at IRRI’s plant disease management group, facilitated the PRISM Crop Health Training. Resource persons from IRRI included Ryong Choi, plant virologist; Casiana Vera Cruz, plant pathologist; Bo Zhou, host plant resistance expert; Jhoana Opeña, weed scientist; Maria Liberty Almazan, agricultural plant science expert; Grant Singleton, rodent biology and management expert; Alexander Stuart, plant protection expert; Buyung Hadi, entomologist; and John Bethany Macasero, researcher. Joining them were Duque and Gertrudo Arida, senior consultant, both from PhilRice. PRISM is a collaborative project among the DA, PhilRice, IRRI, and sarmap. PRISM integrates data from remote sensing, crop modeling, and smartphone-based surveys to deliver accurate, timely, and actionable information on rice crop seasonality, area, yield, flood and drought damage, and crop health. The regional and national data gathered by PRISM is available at www.philippinericeinfo.ph.